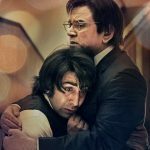 After the three blockbuster weeks, the biopic of Indian actor Sanjay Dutt ‘Sanju’ has passed the fourth week on a solid note despite having several new offerings in the opposite. Directed by the ace filmmaker Rajkumar Hirani, this biographical drama has already become 5th highest grosser of all time and now aiming to surpass Tiger Zinda Hai soon. 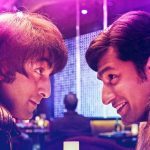 Starring the supremely talented Ranbir Kapoor as Dutt alongside Paresh Rawal, Vicky Kaushal, Dia Mirza, Manisha Koirala, Anushka Sharma, Sanju has received huge appreciation from everyone and the brilliant performances by all the actors are the major reason behind the rave reviews. In the fourth weekend, Vidhu Vinod Chopra’s production faced a usual drop in footfall due to new release Dhadak but still remained steady and did the business of 6.75 crores with 1.28 crores on 4th Friday, 2.19 crores on 4th Saturday, and 3.28 crores on 4th Sunday. 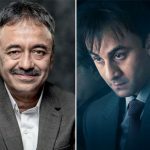 Then on weekdays, with a further drop, Sanju minted the amount of 1 crore on 4th Monday, 0.98 crore on 4th Tuesday, and 0.90 crore on 4th Wednesday. On the next day i.e. 4th Thursday, the movie managed to collect 0.85 crore and raised its 4 weeks total collection to 337.28 crores including the business of 326.80 crores from last 3 weeks. With huge hype, Fox Star Studios’ presentation opened on an exceptional note and did the business of 202.51 crores in the first week. 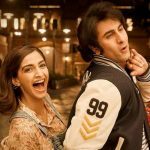 By remaining super-strong afterward, it did the business of 92.67 crores in the second and 31.62 crores in the third week at the domestic box office.